When it’s fall in Carbondale, we can’t get enough of the crisp morning air, warm afternoon temps, and beautiful fall colors. Get out now to see the fall colors because winter’s on the doorstep. You can view the fall colors while driving the West Elk Loop, riding your mountain bike, fly fishing, horseback riding, playing golf, or on a hike. 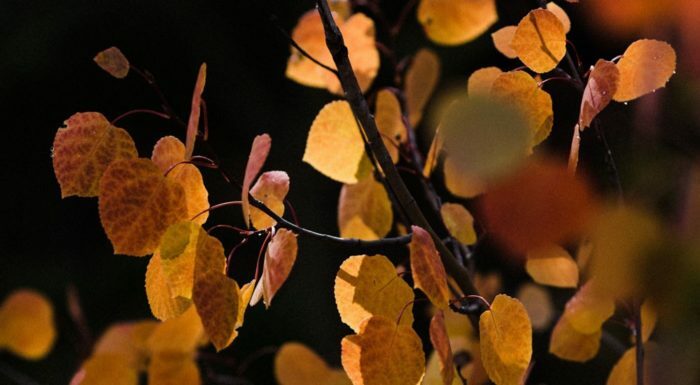 One of our favorite ways to enjoy the fall foliage is on foot on one of these 5 Carbondale, CO hiking trails. Learn about each trail below. A popular trail in the Red Hill recreation area, the Mushroom Rock Trail is a 1.2-mile round trip hike with a great view of Carbondale and Mt. Sopris. You also get to check out the cool mushroom-shaped rock formations on the hike itself. Rather than looking at Mt. Sopris from the valley floor, get the opposite perspective. Climb to the top of Mt. Sopris at 12,953’. This hike is 13 miles round trip, and you can break up the hike by camping overnight at Thomas Lakes. The next morning, you have a 2.75-mile hike to the summit. Head out early to watch the sunrise from the top! At 4 miles round trip, the Thompson Creek Trail is a great day hike for enjoying some sunshine and a warm fall afternoon. An easy day hike for a Sunday afternoon, the hike to Hay Park is 8 miles round trip. Enjoy the aspen groves and views of Capitol Peak in the distance. If you’re thinking candy, the Lorax Trail is shaped like a lollipop. If you’re thinking rodeo, the trail’s shape is a lasso. But however you want to picture the Lorax Trail, it’s a fun 3-mile round trip hike with nice Sopris views.